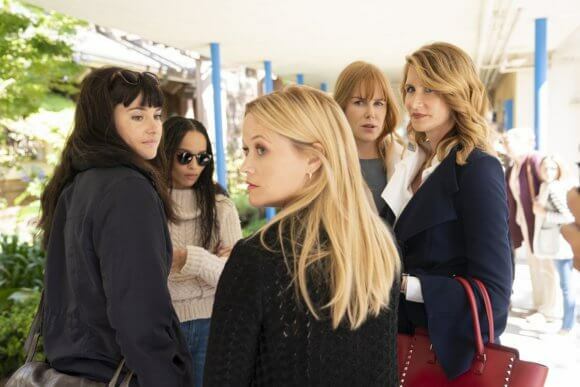 HBO will be launching the second season of the critically acclaimed dramatic series, Big Little Lies, in June 2019. While the network didn’t reveal the exact season two premiere date, HBO did release a list of actors and the characters they’re playing in the upcoming much-anticipated season. Season two will consist of seven one-hour episodes directed by Andrea Arnold (Red Road, American Honey). Arnold also serves as an executive producer along with Nicole Kidman, Reese Witherspoon, David E Kelly, Jean-Marc Vallée, Bruna Papandrea, Per Saari, Gregg Fienberg, and Nathan Ross. In addition, Big Little Lies author Liane Moriarty is involved as an executive producer. David E. Kelley wrote the season two teleplays.